STORMIN NORMAN' - CAST ANNOUNCEMENT! We're very excited to bring some fresh new acting talent in alongside long-term Encompass members Christopher and Luke. Christopher in particular has been on board the project for a while, assisting in the development and editing of the screenplay in addition to his role as the title character. We're also happy to welcome a new face to the Stormin' Norman crew: Theresa Jouliac (also an Encompass patron!) will be in charge of Costume Design. The team are in the final stages of pre-production and filming will begin in East London mid-March. You can see the full list of cast and crew by clicking here. For updates on the project keep an eye on our website and social media pages! STORMIN' NORMAN FILM CREW & AUDITIONS // NEW HEAD OF EVENTS // PRODUCER WANTED // MEDICAL REVIEW OF 'WHAT IT FEELS LIKE' // OUTREACH IN EAST LONDON // GENERAL UPDATE! A month of 2012 gone already! In this update we'll be announcing the Stormin' Norman film crew and auditions, talking about our next theatre production Who is Moloch? 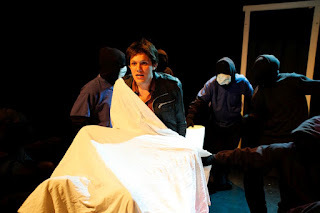 looking for a Co-Producer and have a medically-themed article on our last play What It Feels Like. We also have website and Outreach updates and will be welcoming our brand new Head of Events to the company! STORMIN' NORMAN - FILM CREW AND AUDITIONS! Auditions for the first Encompass production on film Stormin' Norman are on Saturday 18th with callbacks on Sunday 19th of February. All details including how to apply and character breakdowns are on our website (edit - deadline to apply has now passed and auditionees contacted!). CO-PRODUCER WANTED FOR OUR NEW THEATRE PRODUCTION! Our recently announced next theatre production Who is Moloch? by Pamela Carralero is looking for a Producer to join the team in bringing this exciting project to the stage. They will be joining long-time associated artists Zuri Warren (Director), Rachael Owens (Associate Director) and Encompass' Artistic Director Jonathan Woodhouse (Producer) in a key role working behind the scenes of this post-apocalyptic surrealist drama. For details on the position and how to apply please click here or email recruitment@encompassproductions.co.uk. "Stunning...unique and very moving. 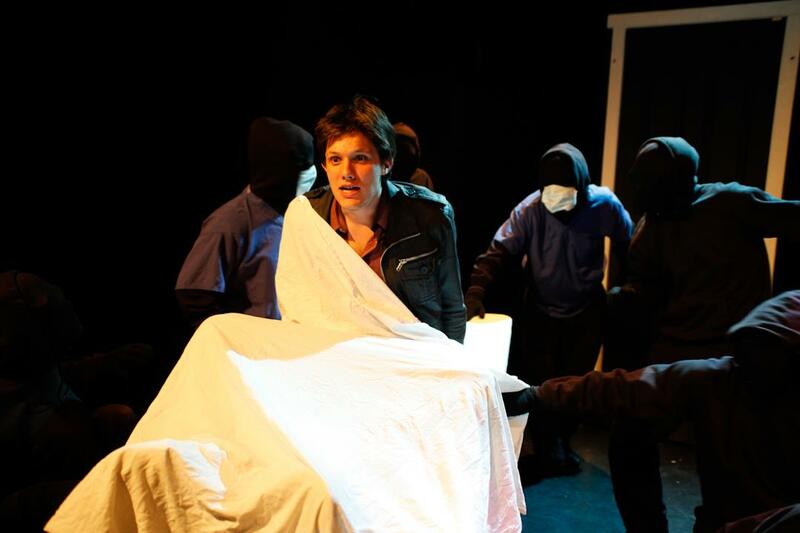 For medical professionals this play offers an opportunity to reflect on universal human issues." To read the rest of the article visit the InnoVait website. LAST MONTH'S RESIDENCIES...AND A WELCOME TO OUR NEW HEAD OF EVENTS! 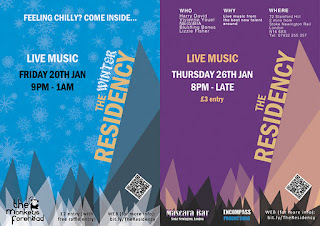 The Winter Residency was another fun-filled evening and a great event to end our run of Egham events for a while - but we'll be back there in a few months for one (or two) last goodbyes to the place that gave birth to The Residency events! 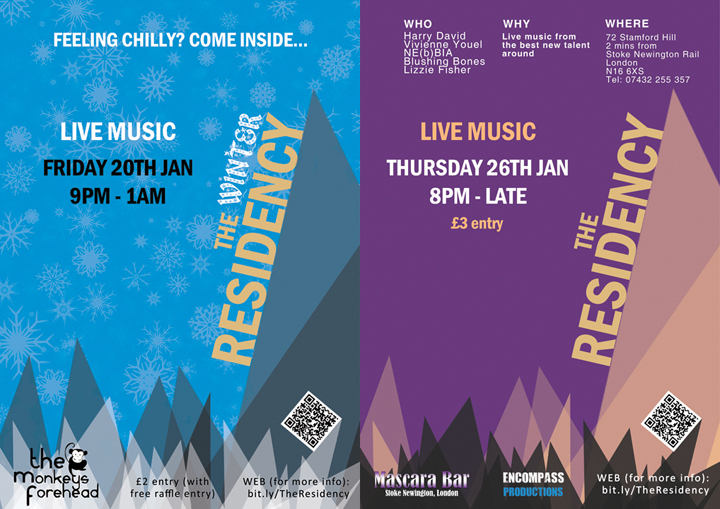 The Residency: Live Music at Mascara Bar, London was a terrific night that made us feel very lucky to have such powerful new talent entertain and help us fundraise for our projects. The night featured BBC playlisted Harry David, Residency favourite Vivienne Youel, the immensely talented Blushing Bones, the powerful NE(B)IA and the delightful Lizzie Fisher. Check out music and more from these acts by going to our webpage for them here! Encompass has recently begun assisting the Theatre Royal Stratford East in their 'Winging It' project, which gives 13 to 16 year olds a chance to build their confidence in performing and storytelling through improvisation. Luke Manning (Associate Performer), Christianna Mason (Associate Artistic Director) and Jonathan Woodhouse (Artistic Director) are very much enjoying contributing to the artistic development of young people in East London and look forward to seeing the progress of this great project. -A new 'Press' page which includes a plethora of fantastic quotes and features from the press on our productions and events. We were surprised by just how many there were when we compiled them so why not check them out yourself? -The brand new 'Associated Artists' page allows you to see who is/has been with Encompass on each production both past and present, and in what roles. There are many bios/photos available with more coming soon for our 2012 projects! We hope you've enjoyed reading this update - it's going to be quite an exciting year for us. Thanks for your support!